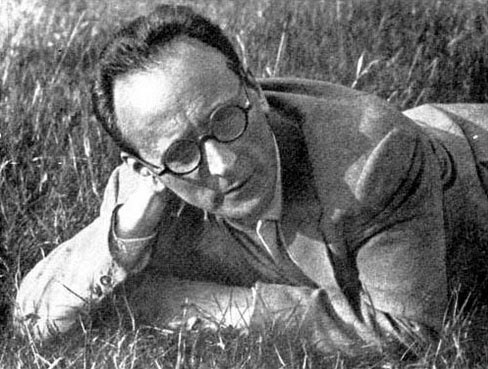 Thirty-Nine Webern Variations is a series of 39 connected pieces that are variations on Webern’s Variations for Piano, Opus 27. As in traditional variations, everything in my piece finds its source in the Webern; however, I do not compose variations on one theme or part of the Webern; rather, every passage in the Webern variations—from all of its three movements (called Web-I and Web-II and Web-III, herein)—is employed subject to various degrees of transformation. Moreover, each of my 39 sections corresponds measure-for-measure to a section of the Webern. My sections are each character pieces—just as in traditional variations sections—except that many are joined together, attacca, to form longer continuities of music. I imagine that the listener who knows the Webern composition will recognize its presence in more than half my sections, and feel some sort of connection to it in most of the others. In this way, my composition establishes a bridge between my music and Webern’s—a gesture of homage on my part. This musical example of “intertexuality” is inherent in the Webern itself, since opus 27, like other Webern pieces called “Variations”, has no theme marked as such, but is a series of sections that are transformations of each other, derived from the various presentations of its twelve-tone row. Or, from a traditional perspective, my piece could be said to use the “parody technique” of Renaissance music, in which whole swatches of one composition are used in another. This connection to sixteenth century music is not irrelevant to Webern, who received a doctorate in music for bringing out a modern edition of the Choralis Constantinus of Heinrich Issac (1445-1517). Now, Web-I has four sections, Web-II has one, and Web-III has eight; each is used three times in my piece—that makes 38, except for first section of Web-I, which is used four times, occurring almost completely unadorned as my last section (it is called “Theme I” in the score). A section of the other two movements of opus 27 are also presented without transformation. The untransformed, sole section of Web-II, called “Theme II,” occurs in the middle of my piece as section 20, and the first section of Web-III occurs as section 3, called “Theme III.” These three sections are analogous to the “theme” of a traditional variation set, however, as mentioned above, all of Opus 27 is subject for transformation. The overall musical architecture of Thirty-Nine Webern Variations involves three simultaneously evolving processes: my piece starts out with sections that are fairly remotely connected to Web-I and progress to those that are closer to sections of Web-I ending with identity (section 39); sections from Web-III start out from identity (section 3) and grow increasingly distantly connected to III; and sections based on Web-II, start out and end with transformational complexities and fan into the middle section (22), which replicates Web-II. The kinds of transformations that I use on the Webern Variations are expansions of same techniques of composition that Webern himself employed. I use Webern’s row throughout and various serial compositional techniques most of which he has used in this or other works.